Richard Duckworth studied electronic music under Herb Deutsch at Hofstra University in the 1980s: this is where he was first introduced to the Moog modular system and he spent many hours in the electronic music studio experimenting with voltage-controlled systems. After this he worked as a FOH sound engineer at CBGBs for many years – he returned to Ireland in the late 90s and is now lecturer in music technology at Trinity College Dublin. 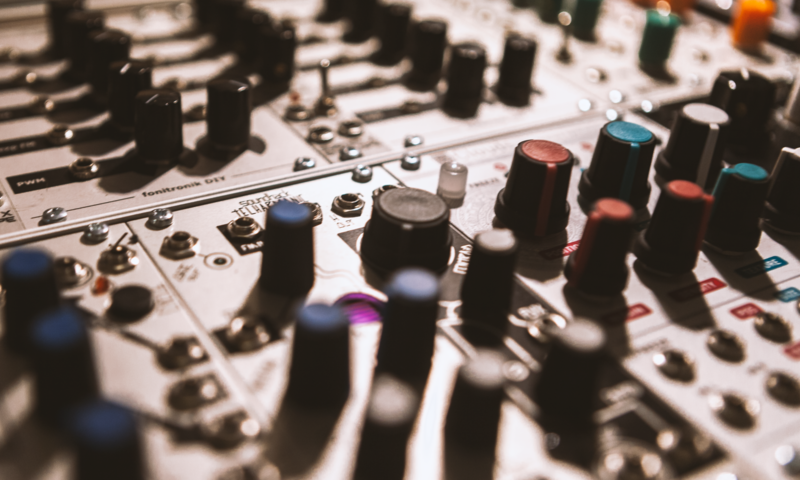 One of the most intriguing developments in electronic music over the past decade or so has been the return to a creative workflow environment that embraces analogue modular synthesisers; a technology which originated in the 1960s. In tandem, a social/creative network has arisen through an organic engagement with praxis: the human-hardware syncretic entities have become their own ‘position papers’ or manifestos through their performative existence and creative output. This talk sets out to explore some of the factors that have precipitated this change, comparing the ‘old’ and ‘new’ histories of electronic music via the media archaeology theories of Wolfgang Ernst. It will speak to the effects of the von Neumann architecture (a dominant model within computer design which takes a serial/sequential approach to data processing) on music–making and the different types of time encountered as part of analogue musicking (cf. Small, 2011), the musical legacy of cybernetics within electronic music (e.g. Gordon Mumma’s cybersonics), and the re-emergence of the ‘soldering composer’ as an influential creative model.